2) How often will there be updates and new articles? 3) Does EA Content expressly advocate nuclear power? 4) Where do you get your information? 5) Don't we have enough nuclear facilities already? 6) I don't care about climate change, so why should I support a dangerous energy just because it's "clean"? 7) What about plans for 100% renewable energy grids that claim to be viable without a base load like nuclear? 8) How much can nuclear help? 9) What about all the nuclear waste? You say it's safe but radioactive waste will be dangerous for centuries. 10) What will be done with the waste that is produced? 12) Nuclear Power is already incredibly dangerous; can it ever be safe underwater? 13) What about Fukushima Daiichi, Chernobyl, and Three Mile Island? 14) Why anchor a nuclear reactor in such a hostile environment? 15) Have you considered the corrosive effect salt water has; from the sea or ocean a submarine nuclear plant would be in? 16) How will radiation of ocean waters be avoided? 17) What kind of recovery and clean up will be done if a submarine nuclear power plant is damaged at sea and unable to return? How will you ensure the safety of local and global populations? 18) What will be done with all this energy? 19) Are there other ways that this abundant clean energy could be used if energy demand goes down? 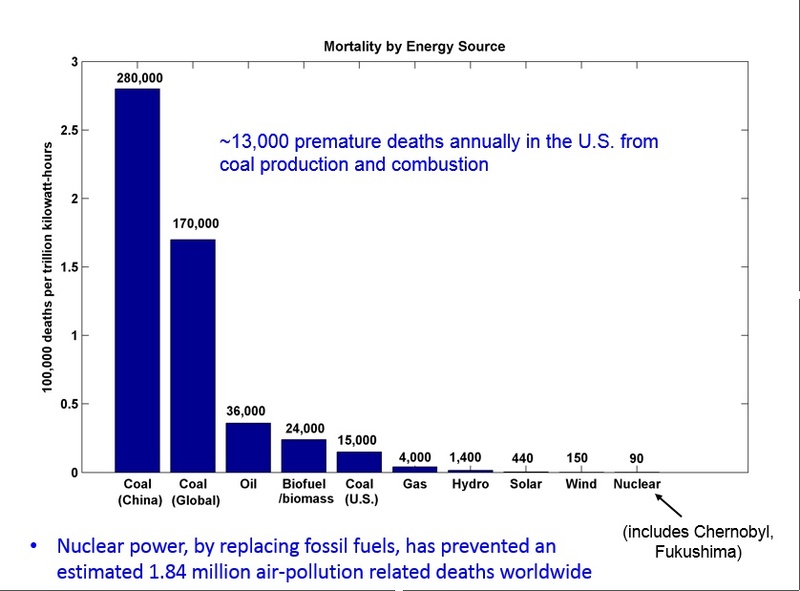 20) Why modify the existing electrical grid and transportation networks just to use nuclear power for cars? 21) Is it reasonable for a nuclear power plant to constantly generate hydrogen, through hydrolysis, rather than follow demand changes? Doesn't this mean that it will be constantly running at a high capacity? Editorial & Advertising Content is a small business that has been devoted to web page and content development for over ten years. We've recently expanded our editorial content development with the publication of OffshoreUnderwaterNavyTechNuclearPower.com. We are dedicated to creating unique, balanced, and thoroughly researched articles. How often will there be updates and new articles? We are always researching new stories, but the time it takes for each varies and some will take longer than expected. Check out the Coming Soon page to see updates on what's next. Feel free to share your own ideas and related news. Does EA Content expressly advocate nuclear power? As a company and collection of individuals, we only write and publish what our research indicates. The unique perspectives in our articles are seriously considered and scrutinized through expert interviews and data whenever possible. We welcome different ideas, especially when they are backed by similar research. Typically any information that we use will be cited in the footers at the bottom of an article. If there isn't a link to such a footer either at the end of a statement, a clearly related earlier statement, or another clear citation--please email me at Matthew@EAContent.com. Don't we have enough nuclear facilities already? It's been decades since the last nuclear facility was built in the U.S. and yet it still accounts for a major part of clean energy in the nation. Many facilities represent capacity that can't be replaced, despite their age, causing them to remain in operation longer than they were ever meant to. I don't care about climate change, so why should I support a dangerous energy just because it's "clean"? Aside from local pollution, like that in China, caused by intense growth of fossil fuel energy; major fossil fuels (coal, oil, and natural gas) will not last long on a global scale. With reasonable growth in developing nations (far below per capita energy use of the U.S.), known global stockpiles could run out in as little as four decades. Additionally, though nuclear power poses unique and significant risks, it is not nearly as dangerous or harmful as other energy sources. What about plans for 100% renewable energy grids that claim to be viable without a base load like nuclear? The possibility of a nation wide renewable energy grid, which doesn't need to purchase power from other nations (and as such, wouldn't put the cost of the nation's base load power on them), is promising. Mark Jacobson of Stanford University proposes one such plan. But such plans raise key questions such as the cost of intermittency, and what is gained ( and lost) by the specific exclusion of nuclear power. How much can nuclear help? A 2013 study found that between 1971 and 2009, 1.84 million premature deaths were likely prevented from the use of nuclear power alone. Using and advancing nuclear power is better than ignoring it, at least until renewable energy sources can take on changing demand at less than ideal times of day and weather. What about all the nuclear waste? You say it's safe but radioactive waste will be dangerous for centuries. (like the TAP fast reactor). If such a reactor were used in large scale, we can also take on (rather than add to) the long term issue of storing radioactive waste that already exists. Side note: coal ash is more radioactive than most spent fuel. What will be done with the waste that is produced? Along with centralized production and maintenance, is central storage (facilities either at or near maintenance dry docks). Rather than storing waste fuel on site for a number of years, then moving them when the site runs out of space, SNP facilities can be set up with safer and long term storage in mind. One of the biggest concerns in Fukushima was dealing with on-site spent fuel. Being near a nearly inexhaustible supply of water can provide as many opportunities as it does risks. Excess energy from low load parts of the day (or night) can be used for processes like desalination and hydrolysis. In addition, there is potential in using this water for cooling -- either as a baseline (as MIT's floating nuclear power plant proposes) or in emergency conditions (particular danger of using salt water would have to be considered). These power stations are also inherently more safe from accidental collision, natural disasters, and terrorist attack. Nuclear Power is already incredibly dangerous; can it ever be safe underwater? Yes. The U.S. navy has achieved over 5,700 reactor-years of safe operation for their nuclear powered warships. While a commercial nuclear power plant and a naval nuclear powered warship have inherent differences ( which are explored in the article), the example does prove that there is a way for nuclear power to be safe in these conditions. What about Fukushima Daiichi, Chernobyl, and Three Mile Island? These instances were tragedies, and nothing will change that. The number of people who die each year due to air pollution resulting from carbon intense energy is also a tragedy. In the article a number of newer reactor designs are investigated as ways to avoid ever seeing the first kind of tragedy again. Why anchor a nuclear reactor in such a hostile environment? These reactors would never be anchored permanently. The Submarine Nuclear Power plants would lie on the ocean floor (attached to a small anchor, landing pad, or power dock built for interchangeable grid integration) for a few months at a time. Remaining mobile will be essential for keeping the facility and crew safe in the event of major natural (or unnatural) disasters. Mobility also means that crews aren't trapped in the facility for longer than would be healthy; and that the SNP can be maintained in facilities designed for complete safety. Have you considered the corrosive effect salt water has; from the sea or ocean a submarine nuclear plant would be in? Before it can become useful, or even safe, being surrounded in sea water poses the risk of salt corrosion--and it is something that we want to look into more. The materials used in a reactor already need to take into account embrittlement, and damage caused from normal operation. Incorporating salt and other minerals into the mix would logically add to the risk of materials damage. Some reactors use what is called once-through cooling, which returns water to the source after a single pass. But while our research isn't complete we mostly propose other, less direct uses of ocean water to avoid added wear to primary systems and risk of flooding. How will radiation of ocean waters be avoided? The submarine nuclear power plant would be designed, as a naval nuclear submarine is, with multiple layers isolating the reactor and it's fuel from the crew and ultimately the open waters. Specific measures need to be investigated, but the principle is to follow naval supervision or to create systems and protocols comparable to those referred to in accessible information on nuclear powered warship safety. What kind of recovery and clean up will be done if a submarine nuclear power plant is damaged at sea and unable to return? How will you ensure the safety of local and global populations? While clean up and recovery should be handled with the utmost care and expediency, the proposal does not yet have a clearly defined clean up procedure. Some considerations that will be made include safe timelines given different scenarios, measures the crew can take for its own safety and for preventing leaks, and so on. What will be done with all this energy? As much as we need to reduce carbon emissions in power station generation, transportation is an even more pressing matter. With sufficient clean energy, it's possible to build electrified highways that overcome the perpetual range limits of purely electric cars. Electrified highways can also make self-driven cars even safer and easier to develop. Are there other ways that this abundant clean energy could be used if energy demand goes down? Considering the time scale that these nuclear power plants would operate under, it’s important to consider that some functioning submarine nuclear power plants could be unneeded for conventional grid power. Some ways to make use of this excess energy when demand is low are hydrogen generation (electrolysis), water distillation, and with modifications to some roadways, highway electrification (which would recharge electric cars while driving). Why modify the existing electrical grid and transportation networks just to use nuclear power for cars? The intention of Smart Highway Electrification is to eliminate the last, most troubling forms of pollution. It's not just the greenhouse gasses from fossil fuels, but the range limitations and pollution risk that batteries pose for electric cars. Eventually, these problems need to be resolved and electrified highways could offer an elegant solution. Is it reasonable for a nuclear power plant to constantly generate hydrogen, through hydrolysis, rather than follow demand changes? Doesn't this mean that it will be constantly running at a high capacity? One of the possibilities we want to investigate more is the use of hydrolysis as a means for nuclear power plants to always make use of its generating capacity, especially since nuclear is slow to increase or decrease generation. But this isn't something that we have thoroughly researched yet. We try to make a clear distinction between researched and less certain content.